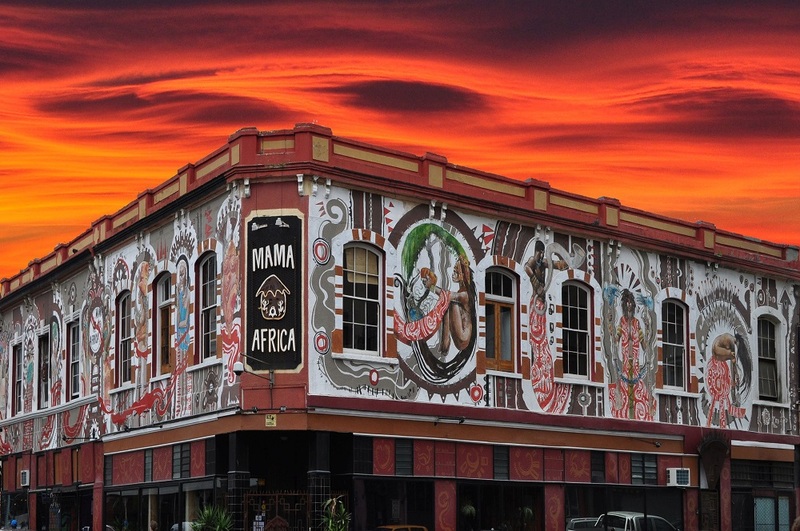 A pure South African experience with unique dishes and a live band playing every evening, Mama Africa is a place not to miss in bustling Long Street, the true heart of Cape Town! Mama Africa Restaurant calls busting Long Street it’s home, a fitting place in the heart of Cape Town for this vibrant venue. The décor is an eye-popping variety of colour and texture, and the walls are full of murals and artwork that perfectly reflects the unique African culture. Since opening, Mama has served as a meeting place for tourists and locals, with many regularly visiting to enjoy the live nightly music. Pass holders receive a complimentary starter comprising of either soup or traditional vegetable samosas, and a glass of house wine or 500ml of bottled water. Additionally, pass holders receive a wine tasting voucher for Thelema Wine Estate valued at R100. At Mama Africa, the portions are quite big so do be sure to come hungry. One of the restaurant’s signature dishes is the Mama’s Game Grill, featuring five different meats, all cooked to perfection and getting rave reviews. If there is still space for dessert, give the vetkoek and sweetcorn bread a try. Mama Africa offers a vibrant and authentic African experience that is made all the more magical through music. At 20:00 every evening, a live Marimba band takes to the stage and rocks the restaurant with great skill until late in the night.